The youth can be a creative force and a dynamic source of innovations; however the youth also face poverty, barriers to education, and limited employment prospects and opportunities. In the area of political participation, eligibility for national parliament starts at 25 years old or older. 1.65% of parliamentarians around the world are in their 20s and 11.87% are in their 30s. The average age of parliamentarians globally is 53 (50 year old for female parliamentarians). Young people between the ages of 15 and 25 constitute a fifth of the world’s population but people under the age of 35 are rarely found in political leadership positions. The main challenges for youth are limited opportunities for effective participation in the decision making process, limited opportunity and exposure to meaningfully participate in inclusive decision making processes, young men and women feel excluded and marginalized in their societies and communities. The need for participatory structures and greater trust between youth and institutions and for greater capacity development should also be stressed. Efforts should also be made to focus on the most vulnerable of young people, through specific actions targeting young women, support to young people’s participation in inclusive political processes and democratic practices. It must be through three measures such as covering the wider enabling environment, individual capacity building and a specific focus on young people. The promotion of an enabling environment (legal frameworks, policies and plans). For young people’s participation in a broad range of processes and areas (electoral and parliamentary processes, public administration and local governance, including in peace building environments) at local, sub-national and national levels, the promotion of young people’s skills and capacities to participate actively in democratic practices, including in local, national, and global processes (leadership trainings, etc.). There will definitely be rapid growth and development in all sectors of the economy. Our youth are better performers in the area of sensitization and mobilization of the electorate during electioneering campaigns. The vibrancy of youths makes them indispensable in politics. As such their inclusion in politics cannot be overemphasized. The energy of the youth, if well channeled into politics, will go a long way to affirm their relevance in the polity of the country. For instance, the likes of Obafemi Awolowo, Ahmadu Bello were all youths when they led the struggle for the independence of Nigeria. Their active participation in politics at that time in the country changed a lot of things in the political landscape of Nigeria. Their efforts gave birth to the independence of Nigeria in 1960. I would like to make reference to a youth that made history based on his vibrancy and passion for a peaceful America. He is none other than Civil rights activist, Martin Luther King. He made a difference in America several years ago. Even when very few people shared in his vision. It’s on record that he led an historic March in Washington on August 1963. It was there that Rev. King made his famous “I Have a Dream” speech; emphasizing his belief that someday all men could be brothers. Another advantage of youth inclusion in politics is the access to information. Politics thrives on information not propaganda. With the advantage of the internet and the social media, youth have virtually an unrestricted access to information and this paves way for the sophistication and robustness of their knowledge base. The youth are an asset for national growth and development. There is no gainsaying in the fact that the youths are in the productive stage of their lives. They need proper orientation from the adults in order to approach politics with a positive mentality, youth agencies and civil rights groups have to come in this regard to ensure that the youth make impact in politics and governance. Generally, youths have innovative ideas and are passionate for change in any capacity they find themselves,but the much desired change in the political landscape can only happen if the efforts of the youth are encouraged by the larger society. The youth need to be given a chance to make use of their intellect. The young professionals from various educational backgrounds can make meaningful impacts in the economy by way of contesting for elections and being appointed into political offices. A passion to serve and move Nigeria towards her destiny must be at the centre of their hearts. While there may be numerous advantages of youth inclusion in politics, there are also few disadvantages to youth inclusion in politics. Many youths have been sidelined even though they have what it takes to be change agents in politics. The youth face poverty, barriers to education, multiple forms of discrimination and limited employment prospects and opportunities. The human capacity of any nation really lies in her youths; but because of the aforementioned challenges, many youth are now being used as political thugs in many countries. Educationally disadvantaged youth in the society will surely be a tool for political violence. We see this happening almost every day in the context of Nigerian politics. Youth inclusion in politics becomes a curse when there is a higher population of youth without education in the political system; education is a tool for enlightenment and it must be given utmost priority by our leaders. Likewise, the war against poverty must be in place in order to make youth inclusion a blessing to our generation. 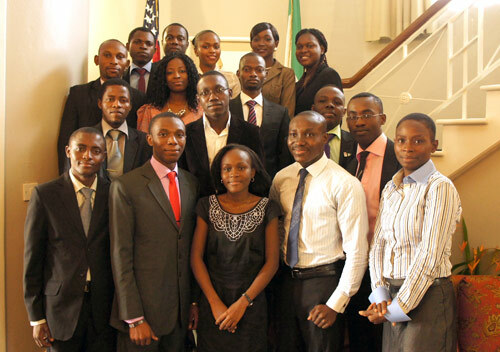 In Nigeria today, youths are already aspiring to make a difference because they are much more enlightened. This is the right time for the youth to arise and challenge the status quo of being left to dance to the tune of unscrupulous elders who try to lure the youth into political vices like violence, rigging, ballot snatching, etc without highly educated, highly literate, highly skilled, intellectually brilliant and self-confident youth. A nation is toying with its future, and undermining its existential capacity. Attaining purposeful political leadership by the youths beyond their inclusion must be seen as the beacon of hope for the youth, and their active participation in politics. Babangida Ruma is a Commonwealth Youth Council Peace Ambassador and an active youth leader in Nigeria who contributed to informed youth policy dialogues in the African region.